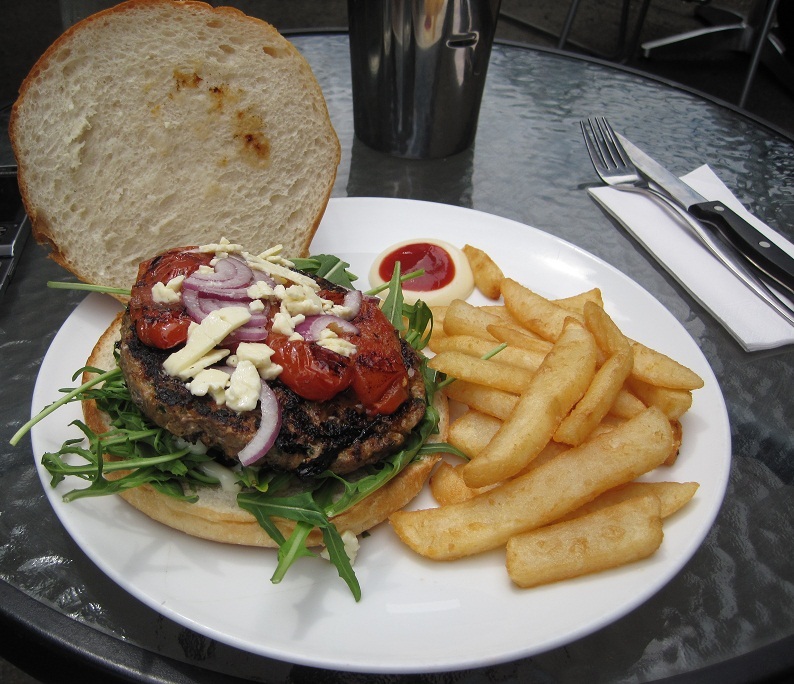 After finally dragging myself out of bed on Saturday arvo, I was really craving a burger, so off I went to Beautiful Burgers. 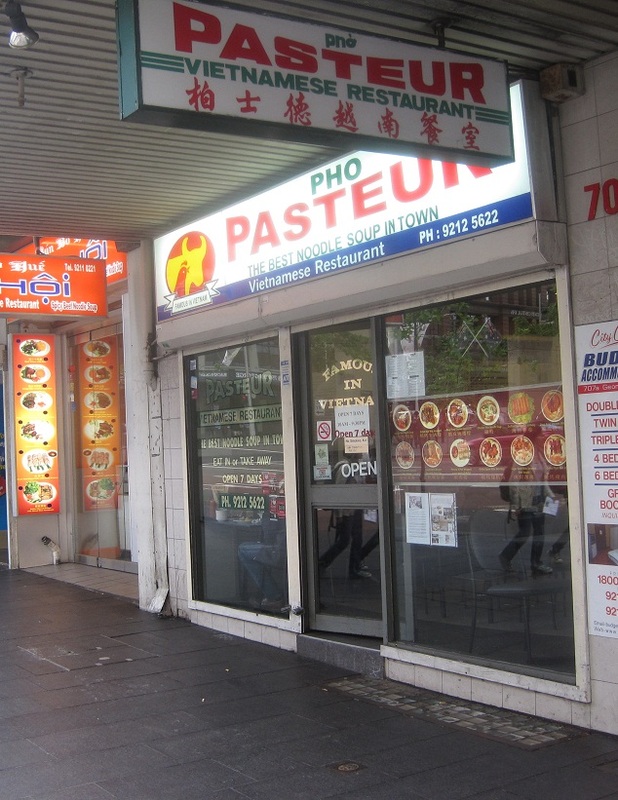 It’s a little hole-in-the-wall place, the kind of place where the owners like to know your name. The sun was shining (although it did go to the dogs later in the day) and they had a quaint little courtyard out back where I could chill. I decided to go for one of the specials as, in the words of my sister, you can get the regular menu any day of the year. 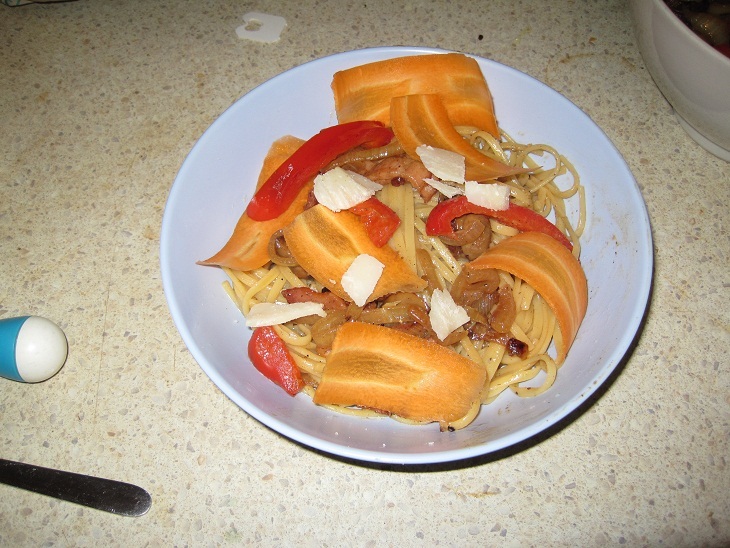 My “healthy” carbonara – it has veggies dun it? I don’t know why, but I don’t like to add cream to my pasta sauce – probably because I can get the same creamy sauce without it. Oh, and the sauce is a combo of egg yolk, parmesan & pepper – weirded out my housemate a little when I first cooked it – but don’t knock it til you try it. 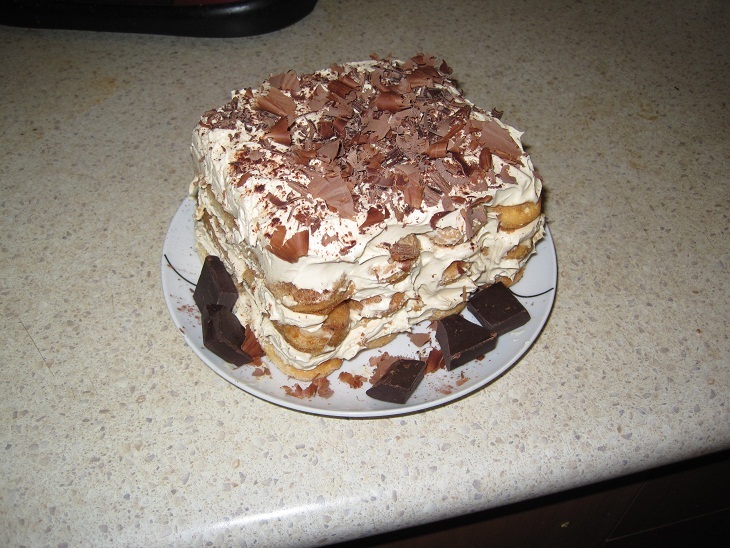 Italian food is my passion, one of my first forays into cooking when younger was the making of tiramisu. When I first attempted it, I made it more mocha than coffee because I wasn’t at an age where I liked coffee. It’s very easy to make. So I was wondering around Central & decided to browse Haymarket. Haymarket is an asian area which is awesome because you can buy things that you can’t seem to get anywhere else & in greater variety. E.g. (exhibit A below) so many more ice cream choices at the supermarket (IGA). 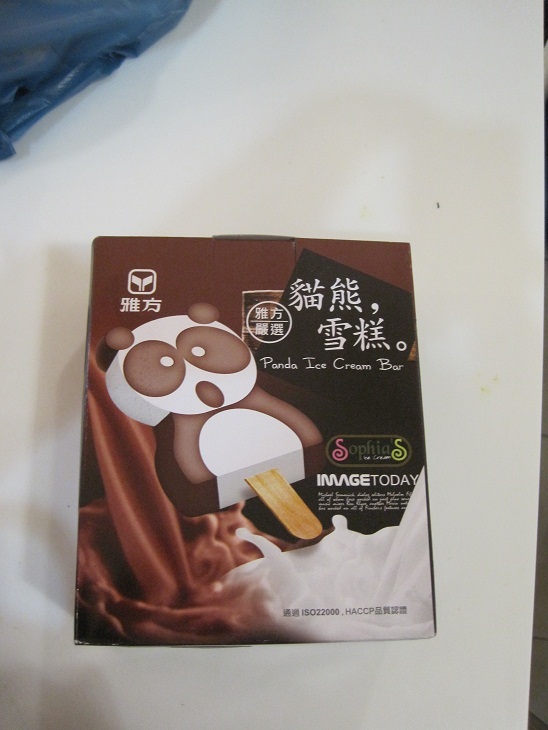 A vanilla & chocolate paddle pop in the shape of a panda – how could I say no? I was with some younger family members so I justified the indulgence by saying I was just keeping the kids happy. It wasn’t my fault there were enough bars for everyone & I got one as well. However, all the pandas came out with some sort of deformity. Assiette is a hatted restaurant in Surry Hills with a Friday lunch set menu of $35 for 3 courses – of course I had to give it a try. The chef there also recently opened a bistro call District Dining if you want a more casual scene. This was accompanied by a bottle of Escarpment Pinot Noir Martinborough, NZ. I’m not normally a red drinker, but it was a little cold & dreary & I really wanted something that would warm my insides. This red didn’t have the acidic aftertaste that I normally experience & it had a clean, crisp taste which made it the perfect addition to my lunch. 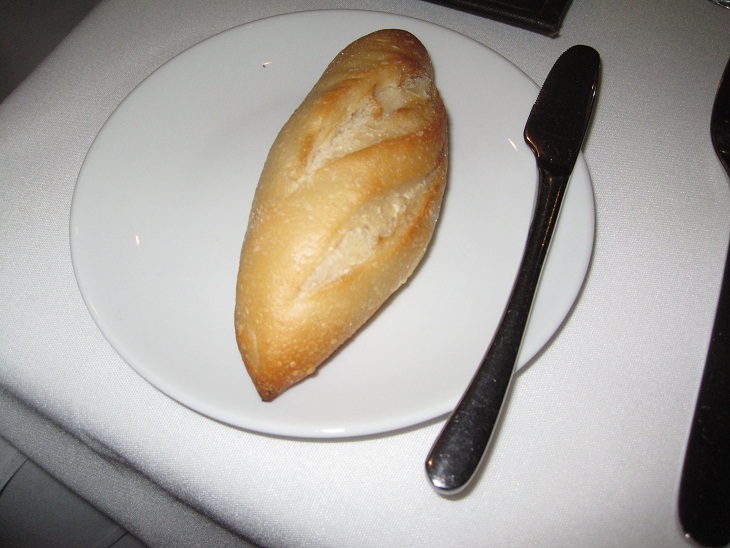 I love fresh baked bread, there’s nothing finer than the simplest of staples fresh from the oven & still piping hot. This bread was simply wonderful, and I consider myself to definitely be a bread/carbs person. Having never made dumplings before (nor done much Chinese cooking), I decided, if I’m only going to make dumplings once in my life, I might as well go for the holy grail. So how about a dumpling with meat/prawn filling & soup inside? 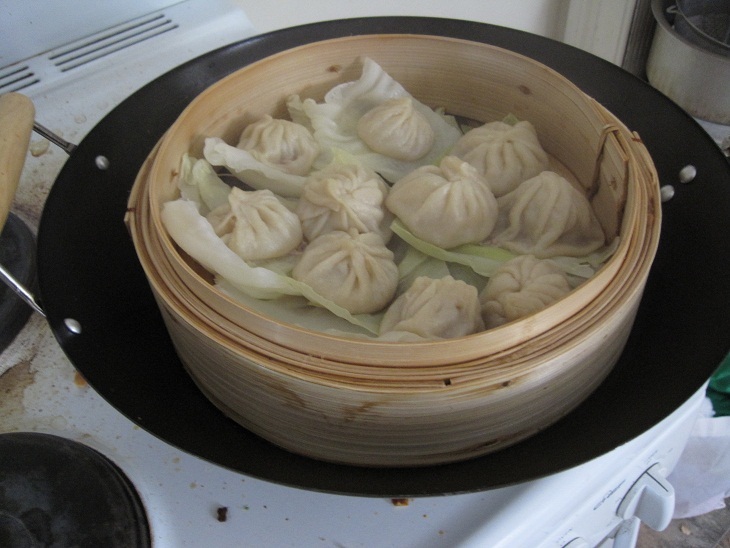 There were a few firsts for me, first time making dumplings, first time using a wok & first time using a bamboo steamer. The question is: how do you get soup inside your dumpling? Just a quickie during my lunch break. Not so quick due to service though. Whenever I go to a Viet restaurant, I always have try the beef rice noodles (pho) because if they can’t get their signature dish right, I doubt they could get anything right.